Boston, MA (August 29, 2016) – ClearGov announced today that it has partnered with the City of Decatur to launch a first of its kind fiscal transparency website in Georgia. The new site will enable taxpayers to clearly see how Decatur is funded and how this funding is allocated to provide services to its residents. In conjunction with the launch of Decatur’s transparency website, ClearGov announced today the addition all municipalities in the State of Georgia, including 535 cities and towns, to its platform. 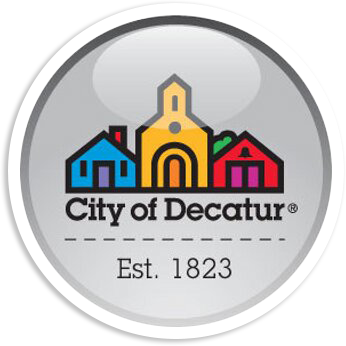 “Having an engaged community has always been important to Decatur as we believe an informed community is an engaged partner with government,” said Peggy Merriss, City Manager of Decatur. “Providing open access to financial information is critical to building and keeping the public trust, encourages accountability, and improves the understanding of how tax money is spent within the City,” she continued. ClearGov sources publicly available financial data on municipalities to create easy-to-understand transparency websites for thousands of municipalities across the United States, which are made available to the public for free. Municipalities can choose to upgrade and enhance their publicly available transparency site with more robust information and provide context through commentary on the figures. Decatur is the first municipality in Georgia to upgrade its ClearGov page to offer more timely and detailed information to its residents. The platform is not only designed to provide the public access to historical financials and forward-looking budgets, but also provide a centralized source of financial data and benchmarking analytics to city officials to make more informed policy and budgetary decisions. Decatur is a city in, and county seat of, DeKalb County, Georgia, and has a population of approximately 21,000 people. Founded in 1822, the city has a traditional small-town atmosphere–and the sophistication and excitement of a college town–along with all the benefits of living in a major metropolitan area. The city is minutes east of downtown Atlanta, minutes west of Stone Mountain, and is easily accessible via the MARTA rail station.